Public opinion and survey research have been my lifelong passions- for more than 20 years I have practiced, studied, and done research on them. 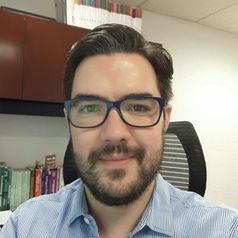 I have a PhD in political science from Northwestern University, in Evanston, IL, and have taught courses on Public Opinion, Methodology, and American Politics in Northwestern, and in Universidad Iberoamerciana, and UNAM in Mexico City. I currently work as a a Conacyt research professor in the National Laboratory of Public Policy, at CIDE. Kellogg School of Management, Northwestern University, Dispute Resolution Research Center. Northwestern University, The Graduate School.